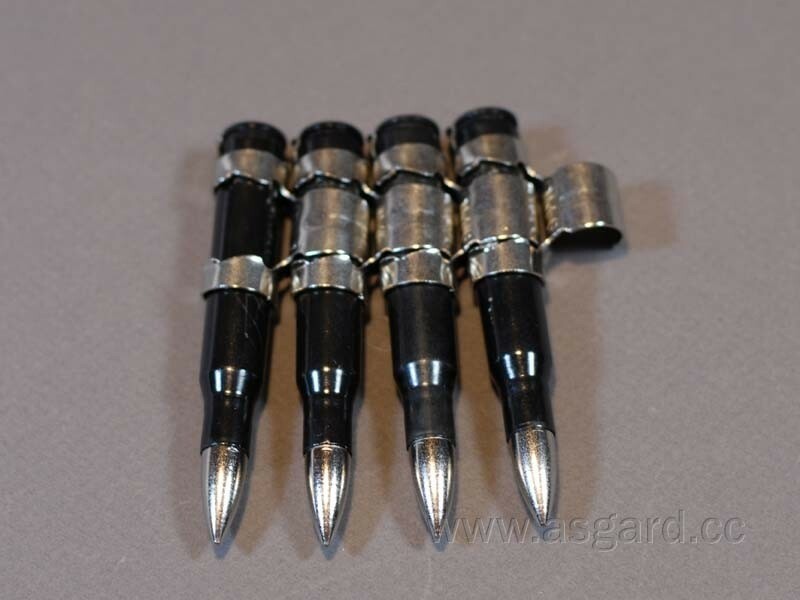 This strip of bullets fits with item no: pg306.323 and is appr. 2,36 inch long. You can clip in this stripe on your bullet belt and so you can create every length.